This is a story woven by our team, Dynamic Word Weavers. The sun rises up in the sky, lighting up Shekhar’s study. As the heat bears down, warming him to his bones and as daylight displaces the darkness, Shekhar wakes up to a new day. He decides to stay put with his head resting over his folded arms, at his writing table in front of the window and watch the world go by. The leaves on the trees are a shiny bright green. ‘It’s a pleasant morning’, he says to himself, quite oblivious to how the day is going to pan out for him. He walks out of the room to find his wife, Tara, busily running around. She moves from kitchen to bedroom and back to kitchen as if on wheels, battling against time to get food ready and wake her nine year old daughter Roohi up. Shekhar walks into the kitchen and makes tea for himself in an unobtrusive manner. As he walks out of the kitchen, he wishes her good morning. ‘Good morning’ she says gritting her teeth. ‘This man can never be helpful. He lives in a cocoon, writing all the time’ she says to herself as she packs lunch for herself and Roohi. She walks back into the bedroom. ‘Roohi, will you get up, now? Don’t trouble me the way your father does. Please be of some help’! Roohi gets up and walks straight into the bathroom without a word. She generally avoids talking too much at least at home these days. ‘Roohi, did you get the report card for your quarterly exams, yet?’ Tara asks, slamming the bathroom door from outside. ‘You are just like your dad.’ She reaches for Roohi’s school bag and pulls out the report card from Roohi’s bag. She turns to the last page that’s filled. She does not even bother to look at the marks. She walks out of the room and slams it on the table, near Shekar. ‘Sign it! she says and walks into their master bedroom. Shekhar continues to read page 2 of the Hindu, pretending he has not heard what she just said. Roohi drags herself slowly to the dining table and silently drinks the milk which is now cold. On her way back to her room to get ready, she walks up to her dad. ‘Dad, please sign this’ she almost whispers. Shekhar peers at her from the top of his thin glasses, thinks for a moment and places the paper on his lap. He picks up the report card and looks at it for a moment scratching his French beard. ‘Sorry dad. I will score better next time’ Roohi says as fear shrouds her face. ‘Where do I sign?’ he asks , still searching and tapping his bald head. ‘Here dad’ she says very helpfully, looking pointedly at the report card. ‘Okay’ he mutters, picking up a pen from the pen holder, signs it and throws it back on the table. He picks up the newspaper to shield his face from Roohi. Roohi gathers her report card and leaves the study. An hour passes by. Roohi comes out of the bedroom, neatly dressed in her uniform. Tara joins her in a minute, with her face plastered in makeup and lips painted a dark shade of red. She looks into the mirror in the hall, to make sure that her shoulder length hair is in order. She quickly steps into her high heel slippers and slings her handbag over her shoulder. The two bid goodbye to Shekhar, who still has his nose buried in the morning newspaper. Not willing to take his eyes off the newspaper, he mouths an indifferent goodbye the moment after they leave, shutting the door behind. As Shekhar turns to page 4 of paper, a smile plays on his lips. His article has been published. He has always fancied his name printed in the newspapers. He works for ‘The Hindu’ as a freelance writer. Half way through the article, his phone rings. The screen flashes a number that the contact list of his phone doesn’t recognize. ‘Hello!’ he exclaims surprised. .
‘This is Jenny’, a female voice replies. Jennifer and Shekhar have been friends since the time Shekar started his career as a freelance writer. Shekhar was an ex-reporter of Times of India, Kochi, where Jennifer works as a photographer. The two travelled a lot together for various stories. Later, after Shekar got married to Tara, he shifted to Mumbai and got associated with Hindu as a freelancer. ‘Hello Jen. What’s up?’ asks Shekhar with excitement brimming his voice. ‘Shek, I accidentally clicked a sensational photograph. Now...’ she pauses and takes a deep breath. She continues after a second ‘I am running.’ She pauses again, breathing heavily. ‘They are ...’ Shekhar hears the noise of the phone being fiddled. ‘They are chasing me. I am scared. I need to hide before the photograph is published. I fear for my life. They might even...’ she pauses. ‘Come here Jen. You can stay at my place’ he blurts out the words almost instantaneously, without thinking. ‘Okay. I will come there somehow. I have removed my SIM so that they don’t trace me with it. I don’t have a number now. I will somehow reach there’ she says. ‘What’s the photograph about?’ he asks. ‘Shek, those guys are here. I got to go. Expect me tomorrow morning. Bye.’ She says it in a hurry and dismisses the call. ‘Jennifer is in serious trouble. I hope nothing happens to her’ he says to himself, looking up at the ceiling as though he is talking to God. mind, he calls Jennifer to discuss it. Jennifer isn’t married, yet. He sits immobile all day, his thoughts harking back to his days with Jenni. The thought that Jennifer is in deep trouble and he is helpless, sitting at home, pains him. His hopes to see her the next day. Roohi comes back home and heads directly to her room. Shekhar sits in his couch, undisturbed. Tara comes home and gets annoyed at seeing the tea cup right where it was in the morning. She gets irritated seeingthe lunch lying uneaten in the kitchen. Nothing disturbs Shekhar. He is deeply worried about the trouble Jennifer has got herself into. Tara has never seen Shekhar so worried and rooted to a spot all day; not even when his manuscript was plagiarised. She decides to save the questions for the next day as the work has left her quite tired today. Like our page to get the story on your timeline as and when updated! Great start, Ganga. 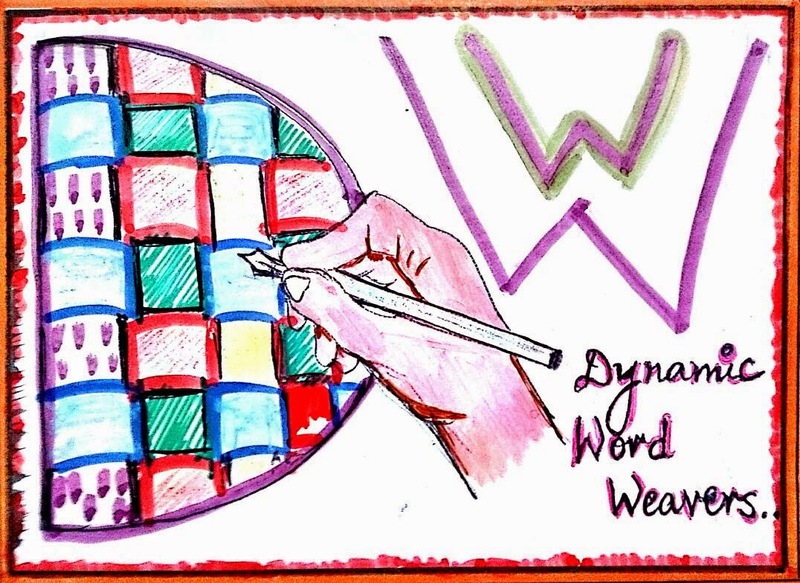 Happy to be part of the Dynamic WordWeavers. Ganga, a reader has posted a comment to your chapter on my blog. I am copy-pasting the comment here. The story lines create a 3D effect of a family unit to start with. It is so graphic in highlighting typically what goes on within a family 24x7. There is a beautiful portrayal of the lack of appreciation of the interests and focus of each constituent of the family evident in the way the father’s poor allocation of his time resources to his wife and child, the wife ignoring the area of interest of her husband and the child growing up with denials of sorts. It is a tragedy that a neglect of attention and appreciation irrespective of its justifications is sponsoring the husband drifting to a different territory where he is better received. The hope is, the story progression will dwelve into dealing with approaches that will turn the tide for the better and land a message emphasizing harmony in family life". Very good and interesting start! The story started picking up pace slowly...now I am really waiting to read the next part.Gr8 Going!!! Eastern Sambar Masala: Ad review! I motion poster: A talk! 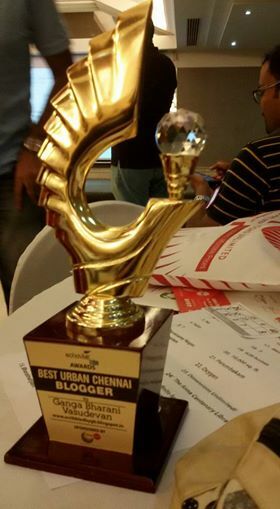 A Mother is Born by Karthik: Guest post! The road not taken- initiative.